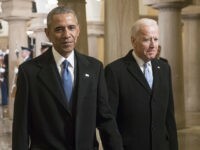 President Obama shed tears during his speech at the White House promoting gun control yesterday but a look at a history of public presidential tears reveals that George W. Bush cried too – during a pair of Medal of Honor ceremonies at the White House and during a memorial ceremony for the victims of 9/11. 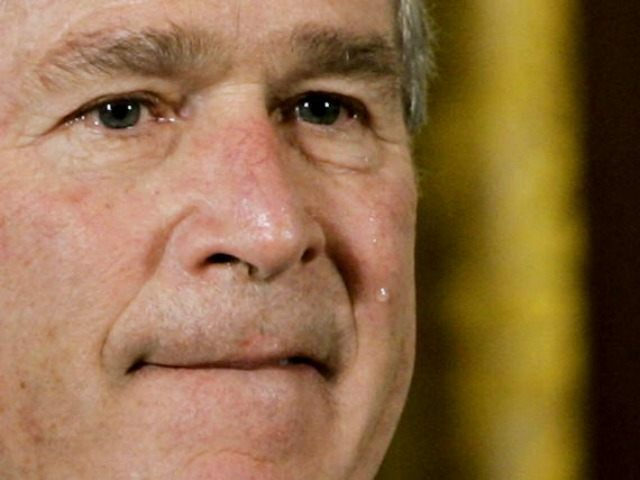 Bush also teared up during the National Anthem. 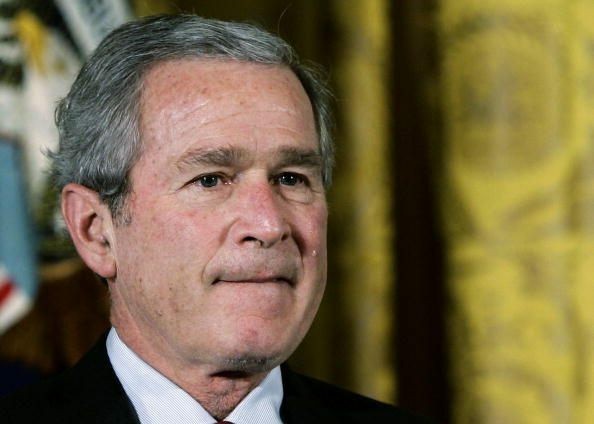 U.S. President George W. Bush during a posthumous presentation of the Congressional Medal of Honor for Cpl. Jason Dunham, USMC, January 11, 2007 at the White House. Duham threw his body on a grenade in Iraq to save the lives of two of his fellow Marines. 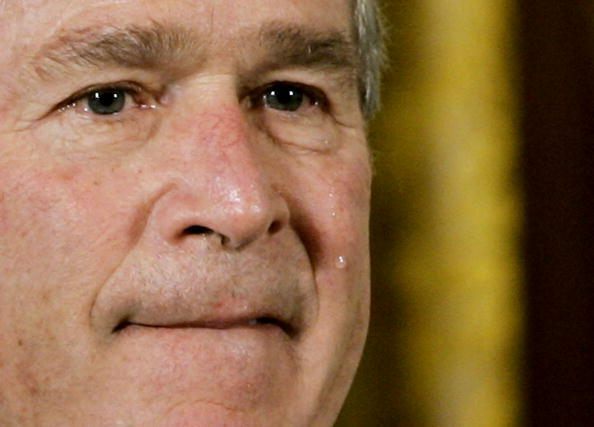 In this photo by the U.S. Navy, Tears stream down the face of U.S. President George W. Bush during an East Room ceremony to present a posthumous Medal of Honor to the parents of Petty Officer 2nd Class Michael Monsoor April 8, 2008 at the White House. Michael Monsoor, a Navy SEAL from Garden Grove, California, threw himself on top of a grenade during Operation Kentucky Jumper September 29, 2006 in South Ramadi, Iraq saving the lives of three comrades and three Iraqi soldiers. He was the fifth person to receive the award since the start of the Afghanistan and Iraq wars. 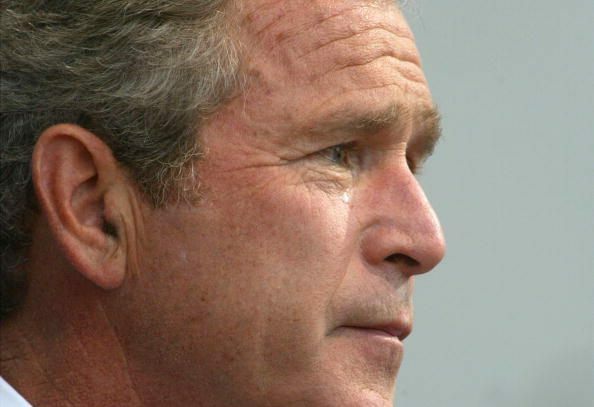 With a tear in his eye, U.S. President George W. Bush listens during a ceremony at the Pentagon September 11, 2002 in Arlington, Virginia. The ceremony marked the one year anniversary of the terrorist attack on the building. 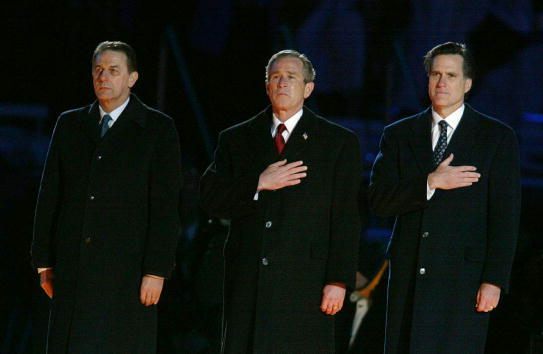 Tears roll down U.S. President George W. Bushs face as the U.S. National Anthem was played during the Opening Ceremony of the Salt Lake City Winter Olympic Games at the Rice-Eccles Olympic Stadium February 8, 2002 in Salt Lake City, UT.